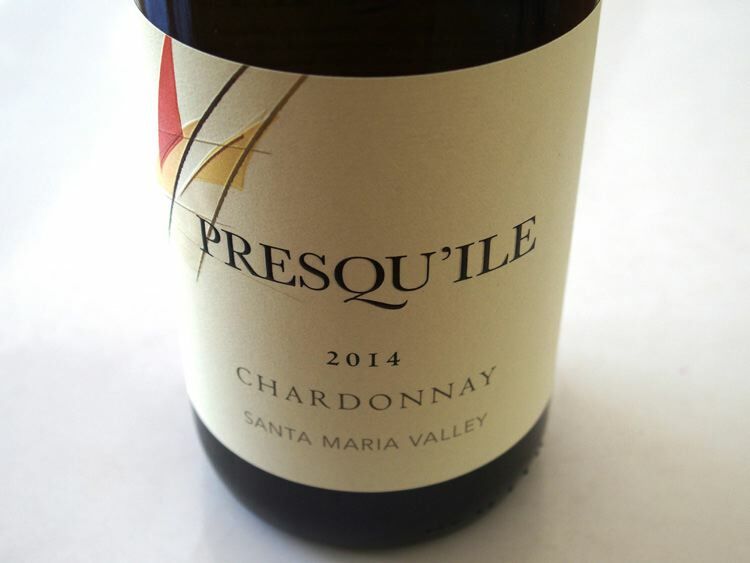 Presqu’ile, pronounced “press-KEEL,” is a small winery is located in the Santa Maria Valley near the small town of Orcutt. In 2007, after a search that spanned the entire West Coast, the Murphy family acquired an ideal unplanted property high in the hills of Santa Maria Valley. Presqu’ile is Creole for “almost an island,” and was the gathering place for the Murphy family on the Gulf Coast until Hurricane Katrina ended an era. Four generations of the Murphy family have partnered in farming, forestry, oil and gas, and conservation. Today, two generations of Murphys joined with winemaker Dieter Cronje and vineyard manager Jim Stollberg to form the soul of Presqu’ile. Located between the Pacific Ocean and the San Rafael Mountains, near Solomon Hills Vineyard, the 73 acres of certified sustainably farmed vineyards are located on a 200-acre property. The spectacular new winery, on the site of a former gladiola farm, was finished in June 2013. It combines impressive architecture that blends with its surroundings with state-of-the-art winemaking equipment. The winery is built into a hill to provide a gradient to facilitate gravity-flow winemaking. It contains a spacious tasting area and barrel cave, fermentation tanks and lab are one floor higher, and crush pad and more storage areas are one floor higher at the top of the hill. The stone throughout the building is from nearby Lompoc. Production centers on Pinot Noir, Chardonnay, Syrah and Sauvignon Blanc both from the estate vineyard and top growers in Santa Barbara County. Annual production is about 8,000 cases, but will eventually expand to 12,000 to 13,000 cases. Farming includes intensive shoot and cluster thinning. Grapes are picked at relatively low brix, as the region allows for more phenolic ripeness at lower sugars, producing wines of moderately low alcohol. The wines are fermented exclusively with native yeast, with a high percentage of whole cluster, and most wines are barrel aged in 75% neutral French oak barrels. 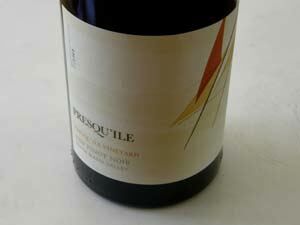 The Pinot Noirs are bottled unfined and unfiltered. 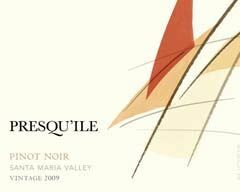 The Murphys are also partners in Alta Maria Winery & Vineyards whose wines will be produced at Presqu'ile. 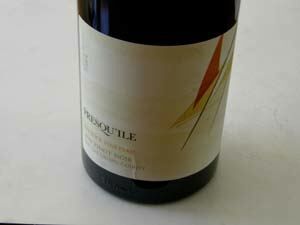 The wines are sold through a mailing list with limited retail distribution. Wilson Daniels is the distributor. A 90-minute tour of the winery and tasting includes a different wine at each level of the winery and ends with a taste on an observation deck from the roof of the hilltop structure ($45, by appointment). The tasting room is open daily (fee is $15 for four wines). After 4:00 PM on Fridays, wine is served by the glass or bottle only, accompanied by live music.